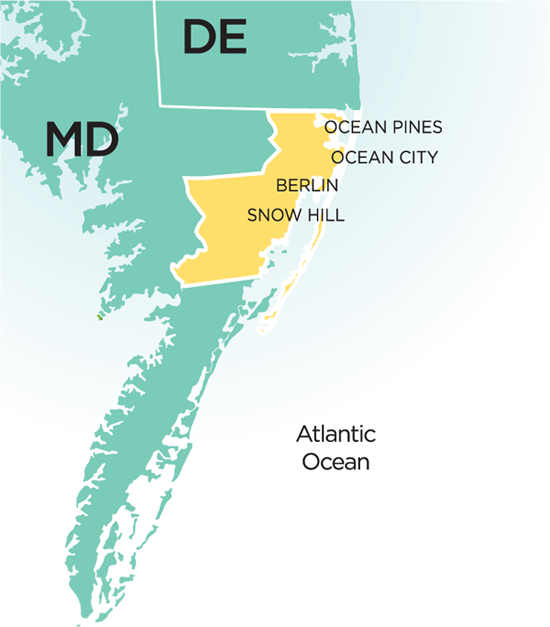 Dover, Delaware — Chesapeake Utilities (“Chesapeake”) announced today that customers in its Delaware service territory will see a reduction in the Gas Sales Service Rate (GSR) component of their natural gas bills this winter. The proposed GSR reduction will result in a decrease of approximately $46, or 27 percent, for usage of 120 Ccf, which is the winter month average for Chesapeake’s residential customers, and which will more than offset the Company’s recent application for an adjustment to its delivery service rates. The net overall savings to a residential customer using 120 Ccf would be $41, assuming temporary delivery rates are approved. Both the GSR reduction and the delivery service rate adjustments are subject to review and approval by the Delaware Public Service Commission. The GSR is a dollar-for-dollar pass-through of the cost of the gas purchased for Chesapeake’s customers and the delivery service rate is based on the cost of delivering the gas to the customer. The reduced GSR is the result of lower market costs for natural gas while the proposed increase to the delivery service rates is the result of rising operating costs since Chesapeake’s delivery rates were last adjusted. Chesapeake Utilities encourages customers to go to www.chpkgas.com for information on saving energy and money in their home or business. The Company offers customers a budget payment plan that will spread out payments on winter heating bills. The Company also offers the Sharing Program where customers can make monthly contributions to customers who may need financial assistance with their heating bills. Customers seeking financial assistance with their heating bills can learn how to receive assistance with their winter heating costs from the Sharing program. Information on Chesapeake Sharing is available at www.chesapeakesharing.com. Chesapeake Utilities is a division of Chesapeake Utilities Corporation (NYSE: CPK), a diversified energy company engaged in natural gas distribution, transmission, gathering and processing, and marketing; electricity distribution; propane gas distribution and wholesale marketing; and other related businesses. Information about Chesapeake Utilities Corporation and the Company’s family of businesses is available at www.chpk.com. Cautionary Note Regarding Forward-Looking Statements: Statements in this release that are not historical are forward-looking statements made pursuant to the safe harbor provisions of the Private Securities Litigation Reform Act of 1995. Words such as “expect,” “likely,” “outlook,” “forecast,” “would,” “could,” “should,” “can,” “will,” “project,” “intend,” “plan,” “goal,” “target,” “continue,” “sustain,” “believe,” “seek,” “estimate,” “anticipate,” “may,” “possible,” “assume,” variations of such words and similar expressions are intended to identify such forward-looking statements. These forward-looking statements are not guarantees of future performance and are subject to risks, uncertainties and assumptions that could cause actual results to vary materially from those indicated, including the factors described in Item 1A (Risk Factors) of our most recent Annual Report on Form 10-K and Quarterly Report on Form 10-Q, each of which is incorporated herein by reference, and in other documents that we file or furnish with the Securities and Exchange Commission. Should one or more of these risks or uncertainties materialize, or should underlying assumptions prove incorrect, actual results may vary materially from those indicated or anticipated by such forward-looking statements. Accordingly, you are cautioned not to place undue reliance on these forward-looking statements, which speak only as of the date they are made. Except to the extent required by law, the Company does not undertake, and expressly disclaims, any duty or obligation to update publicly any forward-looking statement after the date of this release, whether as a result of new information, future events, changes in assumptions or otherwise.